Whilst accepting that there have been volumes written and said about the recent royal wedding, I am going to put my proverbial two cents worth in. It is quite incredible to think that out of around seven billion people on the planet around two billion were watching it. This is nearly 30% of the total population and a higher percentage of those who would have the capacity to watch it. The amount of interest in the wedding is even more astounding when you consider that for many, the notion of a monarchy is outdated and, in some quarters, there is outright hostility to it. For the record, in my opinion, the constitutional monarchy system works well in all the countries where it exists. Whilst we may hear more about the British monarchs than others, many European countries still have a monarch as head of state. Obviously, we do not know the individuals concerned other than what is portrayed in the media. Marriage is not the institution it once was with divorce rates at up to 40% and many people choosing not to ever get married. Interest was high even in countries with no connection to Britain or the Commonwealth of Nations. The question then becomes – why? There would be many answers to this. Firstly, people tend to like a wedding. It is a happy occasion. There is celebration and ceremony. Despite it being the modern age, deep down we still are drawn to and value rituals. Can people stay together without saying “I do”. Of course, they can and does a weeding certificate guarantee a long relationship? No, it does not. Yet ceremony does provide the opportunity to show intent in a public way. And then there is the transcendent issue of love. If there is a higher entity /energy then love would be it. If there is not then love is the highest human condition that we have. To see two people in love and celebrating love is uplifting. And yes, it would not matter if they were not royal – but we would not get to watch it. There is so much bad news in the world that a celebration of the love of two people lets us all pause and be happy for them. It doesn’t fix every world problem. But it enables us to be happy and celebrate the happiness of others. This is particularly the case today where proponents of toxic identity politics seek to divide us along lines of race, gender, or something or another. That so many people regardless of “identity” worldwide can enjoy a happy occasion says much about the human spirit. Necessarily the health aspects of this are not lost on me. 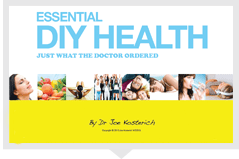 In my DIY Health book amongst the eight pillars of health were relationships and fun and purpose. Clearly the couple have a loving relationship and the support of family and friends. Prince Harry has shown his devotion to service, as has Meghan through charity work. A wedding is fun (yes, it can have a stressful element especially for the bride) for all involved. We get to watch and share in this. What is not to like? To finish on a corny bit genuinely meant note, may they live happily ever after.